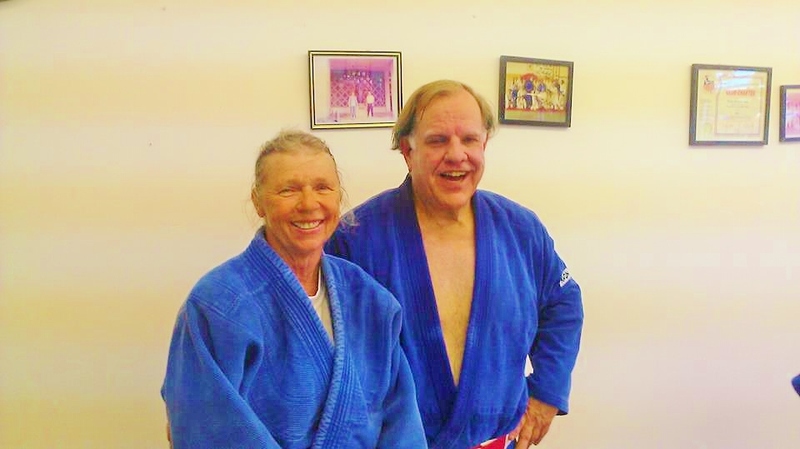 Deborah Fergus and Randy Pierce were special guest instructors for our Tuesday, June 17, 2014 judo practice. Both judokas have devoted countless hours to the development of judo in the United States and abroad. Fergus, a Yondan in judo, started judo at Northern Michigan University in 1970. Throughout the years Fergus has acquired a priceless knowledge of judo from a number of teachers. A fiery judo competitor, Fergus has medaled in several international competition. Fergus is also a national judo referee and has coordinated numerous tournaments and camps. She founded the All Women’s Judo Championship and the Fight Like a Girl judo camp which is held every year. She started her first dojo in 1990 in Gladstone, Michigan. She currently teaches judo at the Southside judo club in Portage, Michigan. 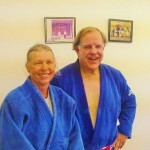 Rokudan Randy Pierce has been in judo for more than 50 years. A Missouri judo legend, Pierce has competed in over 2000 judo matches and has over 1000 victories. Since retiring from competition, Pierce is a current national referee and has coordinated numerous referee clinics and judo tournaments. During the night’s judo practice, the special instructors taught the judo technique kata guruma (shoulder wheel). Both instructors were very precise in their instruction, stressing good mechanics and technique. The class was fun and quite practical for most of our students. Their will be more classes like this throughout the year. So get your judogi and we will see you on the mat.